A crucial step towards building the next tallest building on Earth is underway: Engineers on the Kingdom Tower, a proposed 3,280 foot tower in Jeddah, Saudi Arabia, are beginning tests to figure out how to pump wet concrete more than half a mile into the sky. There are plenty of technical challenges involved with building a one-kilometer-high tower, including (but in no way limited to!) lackluster elevator tech and the sheer weight of a tower this tall. And we haven’t heard about Kingdom in months, which seemed to indicate that the economic demand just wasn’t there. But this week, the developers of the tower announced that an outside consultant—Advanced Construction Technology Services—is starting tests on the materials needed to build the tower: half a million cubic meters of concrete and around 80,000 tons of steel. There are all kinds of reasons why this is the first item on the engineering agenda. 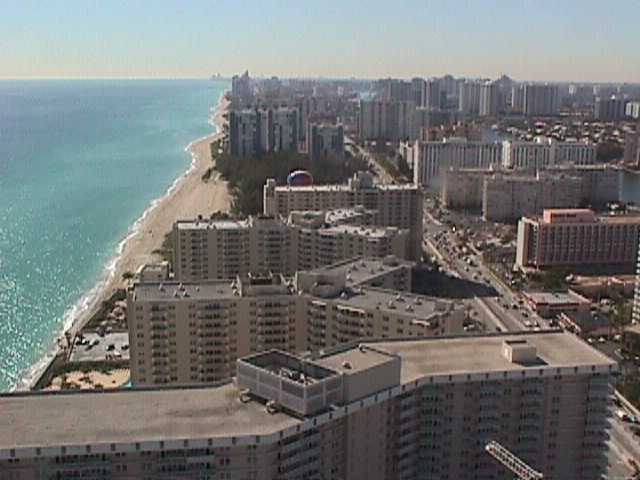 First of all, the tower’s foundation will be 200 feet deep—and it has to withstand the salt water of the nearby ocean. One of the major things ACTS will test is the strength of different high-performance concretes—the most essential piece of the puzzle, along with the steel itself. Up top, things are more complicated: To pour each successive floor, crews will have to pump millions of tons of concrete through a thin, pressurized tube—generally about six inches wide—to be poured by crews above. And gravity, as you might expect, does not get along well with wet concrete. 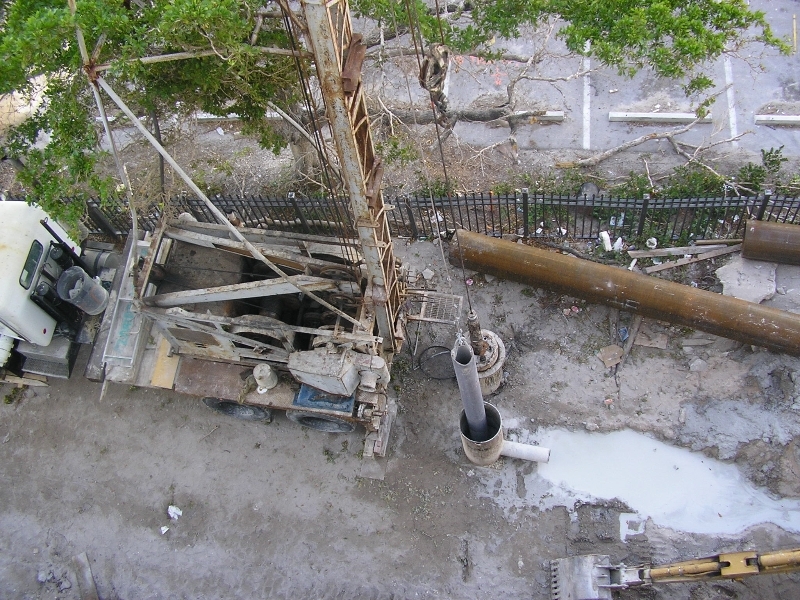 A traditional concrete pump. Image: Wikimedia. So after ACTS finishes testing the strength of the concrete mix that’ll be used in Jeddah, its engineers will move on to logistics like pumping—and it sounds like they’ll be looking closely at how the Burj Khalifa did it. 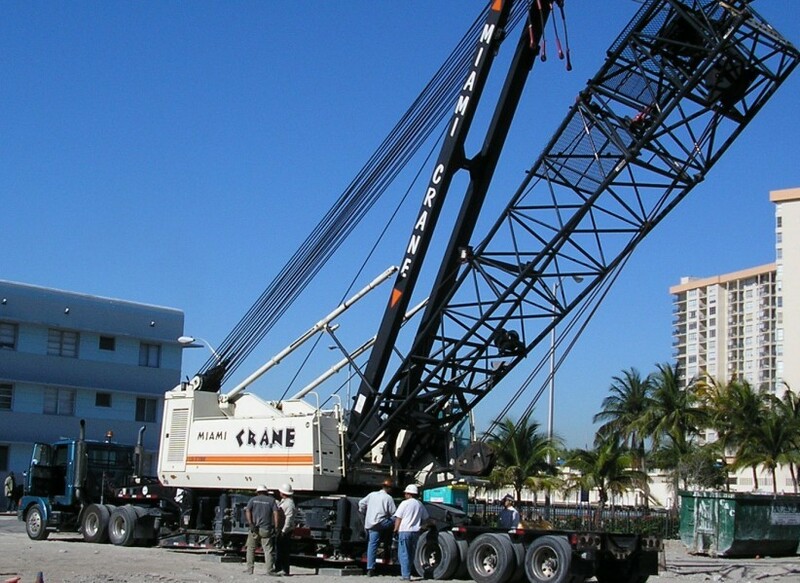 When the Burj was built, it set a record for highest concrete pumping. A Samsung-led engineering team was able to pump almost six million cubic feet of concrete through a single tube, thanks to high-tech pumps developed by the German company Putzmeister. Throughout almost the entire project, workers could only pour new floors at night—the temperatures, in the day, made it impossible. This entry was posted in Architecture, Concrete on August 27, 2014 by Robert Johnson. 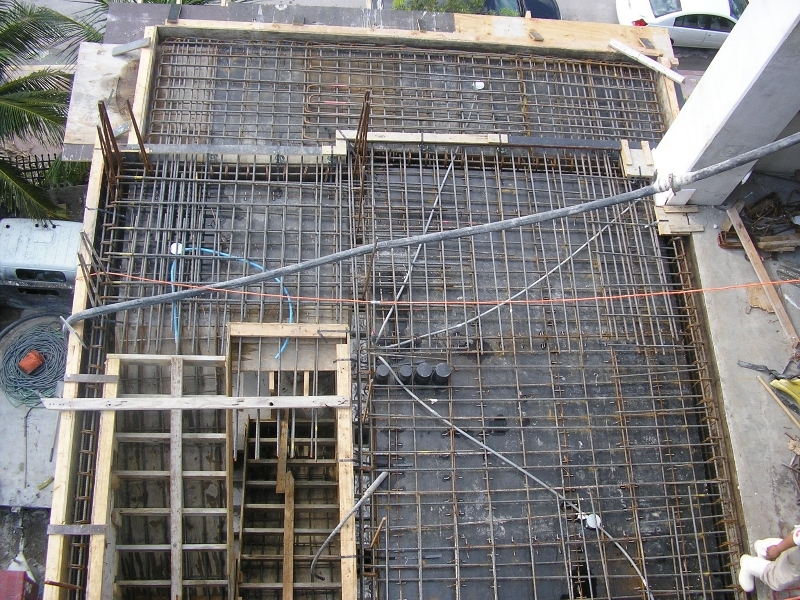 Post Tension concrete construction. Stressing a post-tension tendon, a video safety first, I’ve seen these cables snap! All is calm, form deck is ready for inspection and concrete. For you contractors and engineers’ tech jargon: Stressing an unbonded post-tensioning tendon with a hydraulic jack (8-inch stroke). This tendon was roughly 130 feet long so it required two strokes. The elongation for a 100-foot-long tendon is roughly 8 inches. 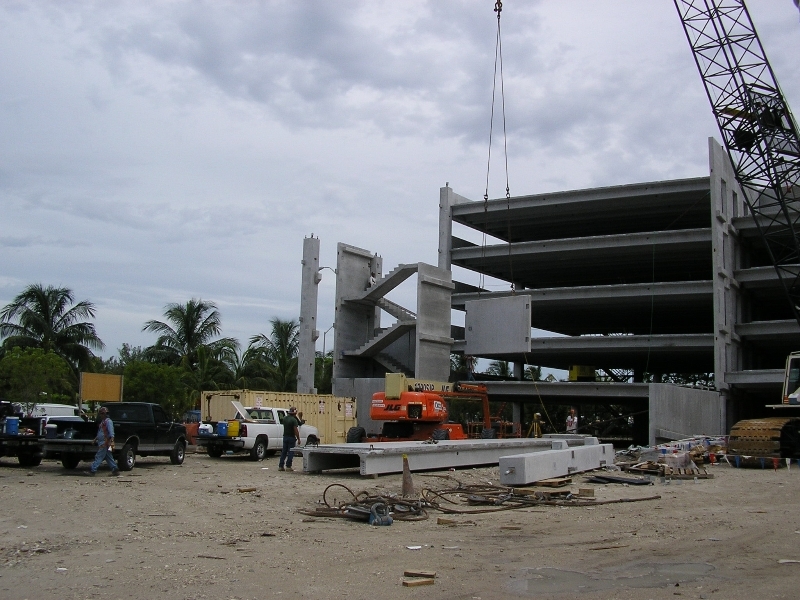 This entry was posted in Concrete, Construction, Engineering on February 13, 2013 by Robert Johnson. 3D Concrete Printing developed at Loughborough University is capable of producing large scale additive manufacturing, has the potential for producing full scale building components. 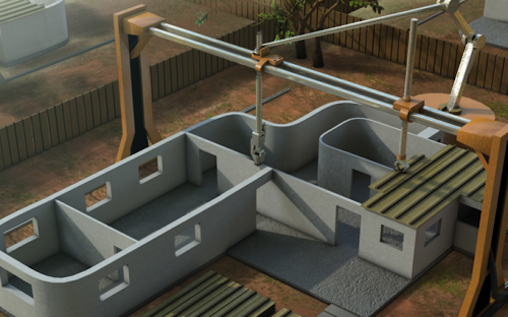 A demonstration of 3D construction using Contour Crafting where a robotic arm excretes clay or concrete and a metal guide is used to form walls that include a corrugated internal structure for strength. Because the walls are hollow, they have excellent insulating properties. Using Contour Crafting the shell of a 2,000 sq. ft. house, including floors, ceiling and roof, can be built in less than 20 hours custom designed on site. This entry was posted in 3D Printing, Concrete on February 12, 2013 by Robert Johnson.